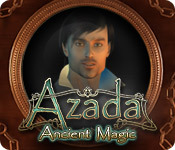 Azada: Ancient Magic is rated 3.9 out of 5 by 34. 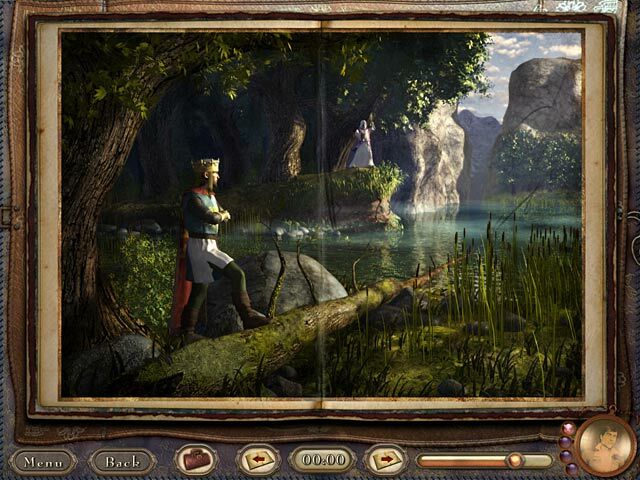 Rated 5 out of 5 by AdrianaIP from Great fun game Nothing but puzzles in an adventure game. Or rather several adventure minigames, where you have to dive into a book and solve the problem posed there, You have to find objects and where to use it, move between pages of the same story, solve a puzzle or two. It forces you to think, and you feel very clever once you have beaten it. The visuals are OK for it, not stunning but appropriate enough. You do not need to have read the books to appreciate it, but it adds to the fun. You only get a limited number of "skips" so do not use them unless absolutely necessary. Just think about it, and eventually you'll figure out the solution. Outstanding. Rated 5 out of 5 by Having_a_fun_1 from We love to play this game. My Daughter (11) and I love to play this game together. We have a lot of fun trying to figure out the puzzles. Rated 5 out of 5 by rosekaufmann from One of my favorites The stories of some classic adventure and fairy tale books have gone amuck and you have to fix the tales in order to release the characters. I replay this game occasionally; it is probably the most intriguing game I’ve seen. The “umbrella” story is very well developed. Sound effects are awesome; graphics and orchestra are top-notch, with a different soundtrack for each of the over 20 enchanted books. Solving the puzzles that rectify each character’s actions so he can get his/her card (needed to release them from their predicament) was a most pleasant and enjoyable task. Puzzles are not repetitious and most are very unique. Each book has several pages and the characters and objects may disappear from one page in order to appear on another page. Although traveling to the various pages is necessary, I like that the pages tell you when each page is completed. In casual mode, about 4-5 hours, depending on how well you can solve puzzles and play the mini-games. The difficulty in each story varies. Once the chapters are cleared, you have the great option of replaying mini-games. Natural break at the end of each book. Rated 5 out of 5 by NoxVidar from Great game The Azada series is great. The gameplay is pretty long and the puzzles are both interesting and challenging. The visual quality is good. I also like how you have to go through different chapters within a puzzle book to solve riddles, etc. Rated 5 out of 5 by HappyGrandma38 from Azada better and better The Azada games are better and better. So I enjoy to play more and more. Rated 5 out of 5 by Amy4Birds from Fantastic and Fun This game features stunning visuals, a fantastic soundtrack, and delicious sound effects that clink, whoosh, and click in a very satisfying manner with every action you take. (I'm not the only gamer who's got a soft spot for good sound effects, right?) 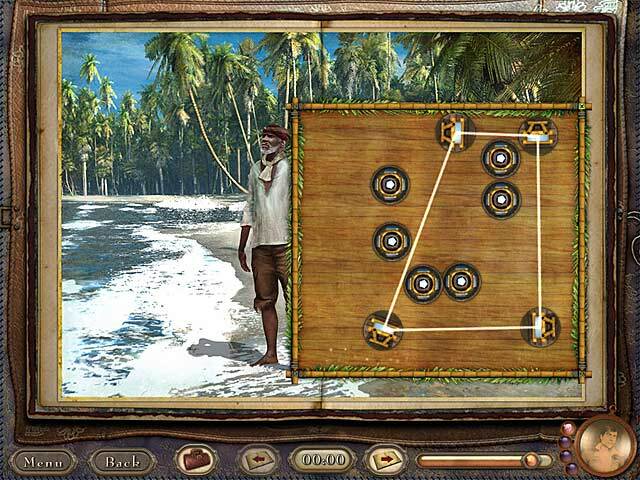 "Azada: Ancient Magic" is all about the puzzles. In particular, the scenario puzzles featuring unique characters--from Dorothy looking for her slippers to the Invisible Man seeking a cure--are truly imaginative and fun. They are contained within themselves, which means you can put this game down and pick it up hours later without losing the storyline or having to remember which areas you need to re-explore, as in a more linear game, such as the third one in this series. Most of them take under ten minutes, so there's the excitement of constantly starting fresh. Plus, you get a lot of them, so there's good bang for your buck. Even most of the one-off puzzles that feature classic solving skills, like connect-the-pipes, object sudokus, and match-the-pairs, are well done. I'm a huge fan of all three Azada games, and this one just might be my favorite! 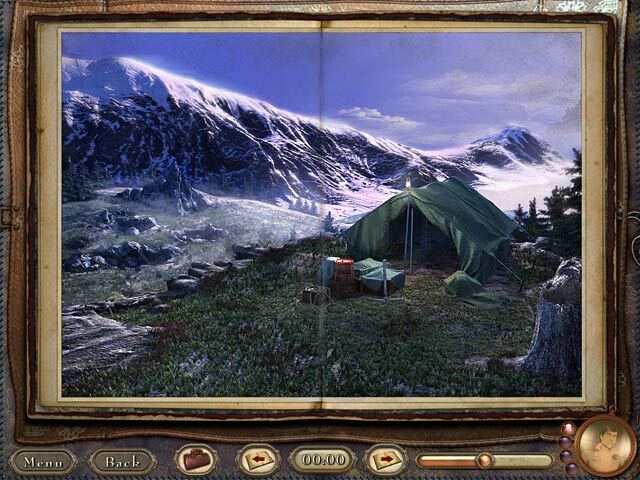 Rated 5 out of 5 by Tikatoy from Charming journey into the world of classic story books This is an adventure game (no hidden object scenes) in which you set things right in over 20 different classic tales/books. You do this by solving puzzles and finding and using inventory objects in the right places. You get the choice of timed or untimed mode. Personally I liked timed mode because you get a time penalty for using objects in the wrong places, which I feel is a reward for thinking and not just randomly using items everywhere. :P The graphics are really beautiful and varied, thanks to the great selection of books. The game locations look like painted illustrations on pages in a book and there is a satisfying page turning animation/sound. Even though there are only a few pages in each book, they're enough to capture the spirit and atmosphere of the book. The music is really great too, with a different soundtrack for every book. The puzzles are the best part of the game. There's a good number of original puzzles, including a couple of arcade-style ones. All puzzles can be skipped, although you get a limited number of skips. They were of above average difficulty, though I never found myself stuck or frustrated. Rated 5 out of 5 by OldLady12 from Just as awesome as the first Azada game! Another awesome game in the Azada series! This one had fun story lines and fantastic interactive puzzles. Also, if you completed the first Azada, you could unlock another book using the magic words given at the game end. You need to click on the portrait of Titus and enter the letters to form the words. The ending of this game also gave a clue that we think must be useful in the most recent Azada game that was released. The graphics were great and the puzzles and items used in the adventure were not all challenging, but some made you think. The original Azada game & this one are completely different in play and we thought they were both equally fun and will play them again. Rated 5 out of 5 by marg6043 from Great game This was my second Azada, it was challenging more so than the first one, still I like the first one best, the graphics were good, the story also was good, been the second on the series I had to have it and I was not disappointed. Rated 5 out of 5 by kookygirl31 from Unique and beautiful If you're looking for something different, Azada is definitely it; this is not your standard IHOG, but it is interactive. You could say this is probably more of an Adventure game than an Hidden Object game. The graphics are absolutely gorgeous. It was fun to complete a story, and every time I opened a new book, I couldn't wait to see what the developers did with the subject of that particular story. I highly recommend.